One of the things I enjoy most about instructional design is finding the right visual voice that reaches learner and helps them understand a new skill or concept. That’s why I found Tom’s recent post on font learning games so engaging. 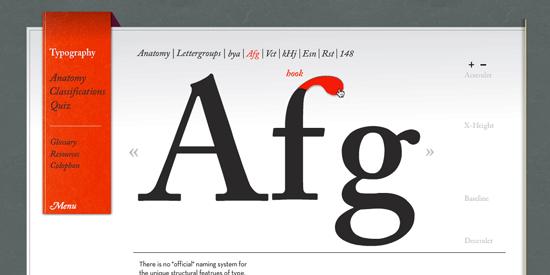 Fonts are one of those elements we all use but know little about. Rather than overloading users with theory, he uses the games to engage learners of all skill levels by getting them to interact with the letters. I was able to recreate the same options for adjusting letter spacing, viewing my result, and comparing my result to an expert solution. The only thing I couldn’t do was constrain the drag motion horizontally. That’s okay because I had still captured the overall essence of the activity using the tools I had available. 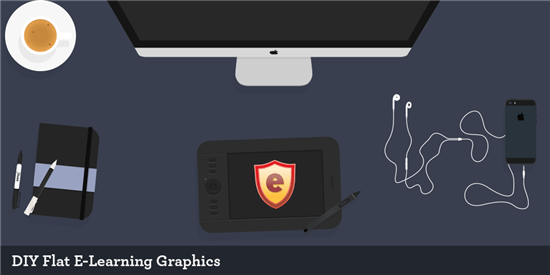 When you’re designing, you are rarely—if ever!—going to be creating a constraint-free course. The key is to master your tools and get a little help from the Articulate community. Before we get into this week’s challenge, take a second to browse a few more games and interactions designed to help you learn more about fonts and typography. If you’ve struggled using (or pronouncing) bezier, this is the perfect time to practice creating curves with the pen tool. Designed and coded by Aaron Bloom & Erin Kendig, this interaction helps students learn basic type anatomy and classification. If you love cheese as much as you do fonts, you’ll love this cheesy font game. As course designers, you don’t need a degree in type design, but you should have a fundamental understanding of how type works. And that’s what this week’s challenge is all about! Type terminology - Create an interactive glossary to introduce learners to common vocabulary terms. 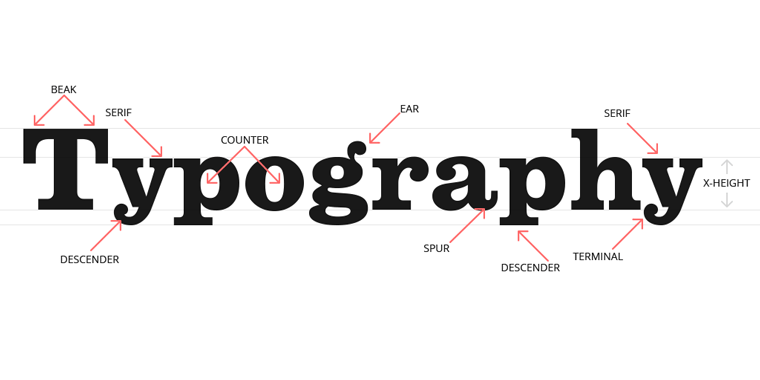 Anatomy of a typeface - Create an interactive guide using markers or callouts. Font quiz - Ask learners to identify fonts by name. Games like Arial vs. Helvetica are a great way to learn. Leading, Kerning, and Tracking - Create a learning game to help learners apply basic adjustments to line and letter spacing. History of type - Create a timeline interactions to let learners explore the history of type. 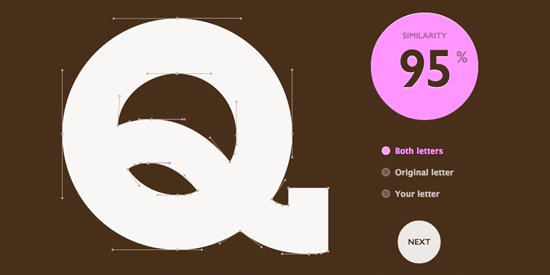 Combining typefaces - Quiz learners on appropriate font combinations. You can use Storyline, Studio ‘13, or PowerPoint, to design your font game or interaction. Facebook: Reply to this Facebook post with a link to your font game or activity. Before you type out this week's challenge, take a look at the creative webcam videos you and your fellow community members shared in last week's flat design challenge. Wishing you a font-tastic week, E-Learning Heroes! I'm going to need to clone myself to find the time to participate in these challenges lately, although I am stealing the odd moment to take a peek occasionally - and I love this one. You have such flexibility in your style - I guess this comes with time and practice. I'm jealous that you have Storyline 2 - what's it like? Schweet activity, Jackie! I missed two in your challenge activity and I'm glad I did. I really like how you provided the visual feedback for missed questions at the end. Very good form, indeed! I see you got a chance to take the motion paths for a spin. I'd love to know how SL2 worked for you in a real project. Well done, Jackie, although there was a little snafu.... on the final "o" the question asked to locate the bowl, and when I guessed wrong, it showed the counter as being the correct answer, so I'd like to ask the teacher to have my grade changed to perfect! @ Jackie, I'm in France right now and don't have my computer with me so might not get to this one although I have an idea for a space invaders type thing that would be great for this challenge. I must admit that I've already used Storyline 2 on one of the previous challenges. See if you can guess which one. I know crazy eh! It was the modification of your template. I kept it subtle but a keen eye would notice some different animation effects. @Nancy: No way!! Well what better challenge to start with. :) Hope you're having a fantastic time over there! COOOOOOOOOOOOOOOOOOOL JACKIE! Love the dancing letters! Nice use of Storyline 2. By the end of the activity I was a pro, so thank you for helping me brush up on type anatomy. Very well designed. Thank you, Gemma!!! I'm so glad you liked it. :-D Fingers crossed you'll get a chance to jump into this one too! Fantastic Jackie! It was really engaging and absolutely loved the quizzing section. Great visuals on the results page. I played it several times, and show my colleagues as well (and tell them how wonderful SL2 and how we should upgrade!). :) Bravo!